The University’s anti-racism committee was formed in the fall of 2015, and adopted the name “We’re Better Than That” (WBBT) last winter. The committee meets biweekly during the academic year and is co-chaired by Beth Olivares, dean for diversity initiatives, and Norman Burnett, director of the Office of Minority Student Affairs. The WBTT campaign’s mission is to educate students, faculty, and staff on ways to approach difficult conversations on divisive topics, and to stop hate speech and racism in our community. The committee is comprised of University administrators, staff, and students. Here’s a look at the four undergraduates who are leaders on the WBTT committee. Crenca is a dual major in Spanish and health, behavior, and society. 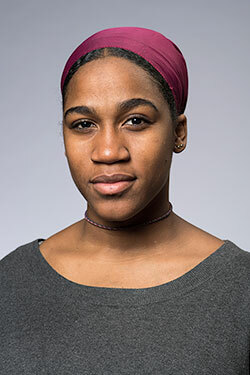 She is the co-chair of the WBTT programming sub-committee and recently coordinated the first Color Cannot Divide Us Week, overseeing several on-campus programs. This is her second year on the committee. 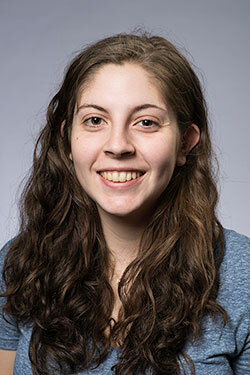 In addition to her work on the committee, Crenca is a member of the Gamma Phi Beta sorority and the Society of Undergraduate Public Health Students. She hopes to earn a master’s or doctoral degree in public health, perform research in health disparities, and improve minority health access. The Rochester native is a double major in political science and Latin American studies. His role on the committee is to ensure that University students are engaged in WBTT-sponsored events. Delinois is also a member of the Students’ Association and the Minority Student Advisory Board, and is philanthropy co-chair of Sigma Chi fraternity. His career goal is to become a local immigration attorney and eventually move into politics. A native of Bronx, New York, Edjang represents the Minority Student Advisory Board on the committee. Edjang is an anthropology major and a member of the Student Organization for Caribbean Awareness. She hopes to work as a museum researcher before becoming a history or anthropology professor. 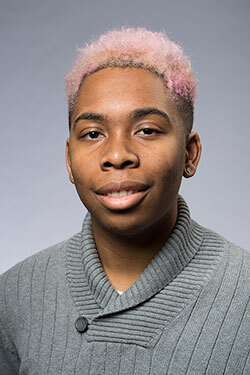 Perry joined the WBTT committee as a representative from the Black Students’ Union and serves on the training sub-committee, helping to develop a training program that students must take before working on campus. 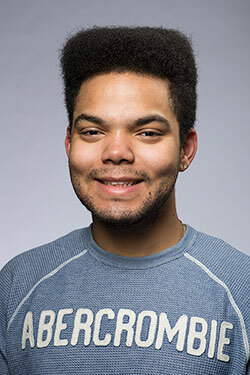 Perry, who is from Rochester, is a dual major in health, behavior, and society and international relations. He is also active in No Disclaimers, the Pride Network, and the Quad Area Council. His ambition is to work for the World Health Organization as a public health officer. The University’s anti-racism committee will host a series of discussions on Tuesday, March 21, the United Nations’ annual International Day for the Elimination of Racial Discrimination. 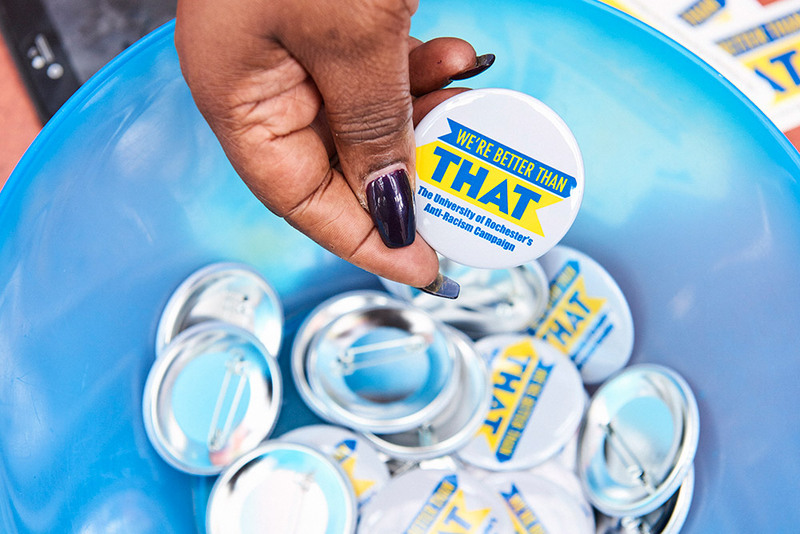 From 11 a.m. to 12:30 p.m., members of the We’re Better Than That committee will be in Ciminelli Lounge at the Eastman School of Music’s Student Living Center to discuss the committee’s mission, goals, resources, and future plans. A similar discussion will be held from 3:30 to 5 p.m. in the Welles-Brown Room in Rush Rhees Library on the River Campus. From 6 to 8 p.m., implicit bias training will be held in Goergen 101. University students will offer real-life experiences with racism. Refreshments will be provided. A bus will pick up students interested in attending at 5:30 p.m. outside the Eastman School’s Student Living Center. The bus will depart from Wilmot Bus Stop at 8 p.m. and return students to the Eastman School of Music. Undergraduates who present student IDs can pick up free We’re Better Than That shirts on Monday, March 20, between 11 a.m. and 1 p.m. at Hirst Lounge in Wilson Commons on the River Campus and the Eastman School of Music’s Office of Student Affairs, 100 Gibbs Street.